LONDONA genetic variant commonly found in Chinese people may help explain why some got seriously ill with swine flu, a discovery scientists say could help pinpoint why flu viruses hit some populations particularly hard and change how they are treated. Less than one percent of Caucasians are thought to have the gene alteration, which has previously been linked to severe influenza. Yet about 25 percent of Chinese people have the gene variant, which is also common in Japanese and Korean people. 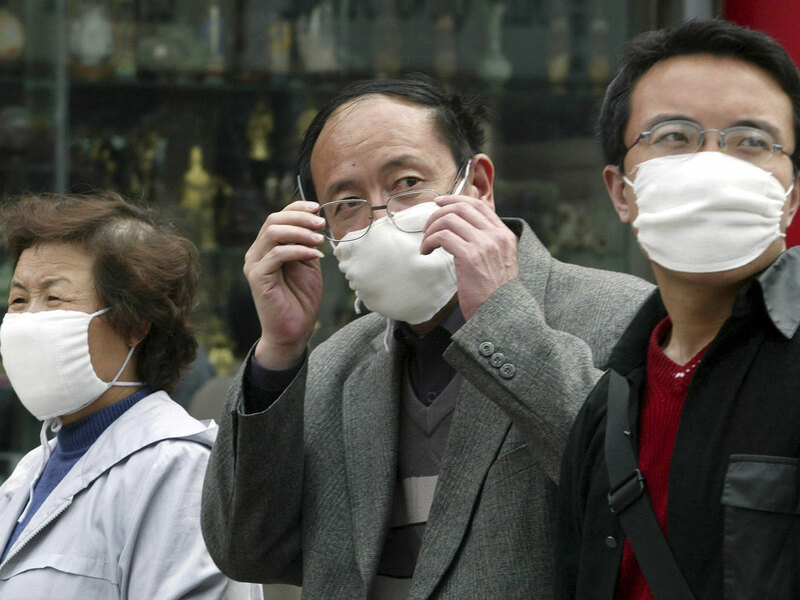 British and Chinese researchers analyzed 83 patients admitted to a Beijing hospital during the 2009-2010 swine flu pandemic. Of those with serious complications like pneumonia, respiratory or kidney failure, 69 percent had the genetic alteration. Among patients with mild illness, only 25 percent did. "It doesn't mean you should panic if you have this gene variant," said Andrew McMichael, director of the Weatherall Institute of Molecular Medicine at Oxford University, one of the study's authors. "Most people who have it won't run into any trouble at all." He suggested people with this genetic predisposition to severe flu should be treated earlier and more aggressively than others. McMichael estimated that people with the genetic variant were five to six times more likely to get severely ill once they're infected. The gene alteration doesn't make people more likely to catch the flu, since that depends on other factors like environmental exposure and previous immunity. McMichael said the gene variant might give people the same susceptibility to get severely ill from other ailments including dengue, SARS and other flus. But it could also provide them with better immunity if they recover. The research was published online Tuesday in the journal Nature Communications. Some experts said it was an intriguing finding that shows a patient's response to a virus may determine how sick they will become. "The bug in someone who gets severely ill is not any different than the one that infects someone who has mild illness," said Michael Osterholm, director of the Center for Infectious Disease Research and Policy at the University of Minnesota, who did not participate in the study. "It's the host that does all the damage to themselves." If people carried the genetic variant, Osterholm said, their immune systems were more likely to kick into overdrive if they caught the flu, causing problems like organ damage or blocking their airways. Scientists have long recognized that diseases don't strike all populations equally. Caucasian people are more likely to get the crippling Guillain-Barre syndrome after vaccinations and flu epidemics are often more fatal in indigenous populations in Australia and Canada. Records are too limited to know if previous flu outbreaks have been more lethal in Asia. Osterholm warned that the genetic variant wasn't limited to people of Chinese descent. "A lot of other populations have the same genes that respond immunologically like this," he said. Osterholm thought that different flu strains would likely trigger different responses in people and just because Chinese people may have been more vulnerable to severe disease with swine flu doesn't mean they would have the same reaction with other flus. Others said genetic screening might one day be included in national flu plans. "Further work needs to be done to justify that, but maybe in the future we would be able to say that if you're of a certain ethnicity, you are more at risk and should be prioritized for vaccination or antivirals," said Peter Openshaw, director of the Centre for Respiratory Infection at Imperial College London. "It's possible we could one day do a genetic test before treating someone with flu to see what the best treatment would be."